Exceptional home on 1/4 acre lot has Mountain Views AND backs to Open Space!Gorgeous Hardwood floors on most of main floor!Entertainer's kitchen and large breakfast nook area features granite, an abundance of cabinets and upgraded/stainless appliances! Great Location within community-large backyard has both a covered deck and a lower patio area with a fire pit! Separate entrances into the home from each garage!VACANT AND READY TO GO...WHY WAIT FOR A NEW BUILD? Four Beds + Loft upstairs. 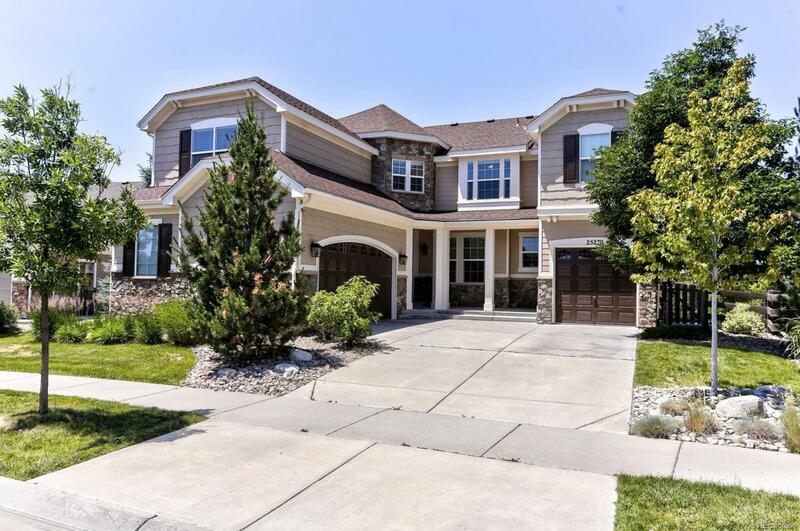 Finished Garden Level Basement is a Wow...And there is a large unfinished utility room with tons of storage!This home has easy access to E470/DIA/Schools/Golf/Southlands Mall/King Soopers Marketplace/Aurora Reservoir! Offered by Mb Cherished Properties. Association Name Primary Tallyn's Reach Master Assoc. Inc.